Energy consumption in France’s housing stock until 2050 for four prospective scenarios. The energy performance improvement for existing and new buildings has become one of the major concerns for energy efficiency policies. The local, regional, French and European political authorities are all concerned by this question. This subject is complex due to the large number of parameters that affect energy consumption of residential buildings (quality of buildings, behaviour of inhabitants…). Various instruments can be used to improve the energy efficiency of buildings, such as awareness campaigns, incentives or obligations. Prospective simulations are a good tool to understand the role of each action on future energy consumption. 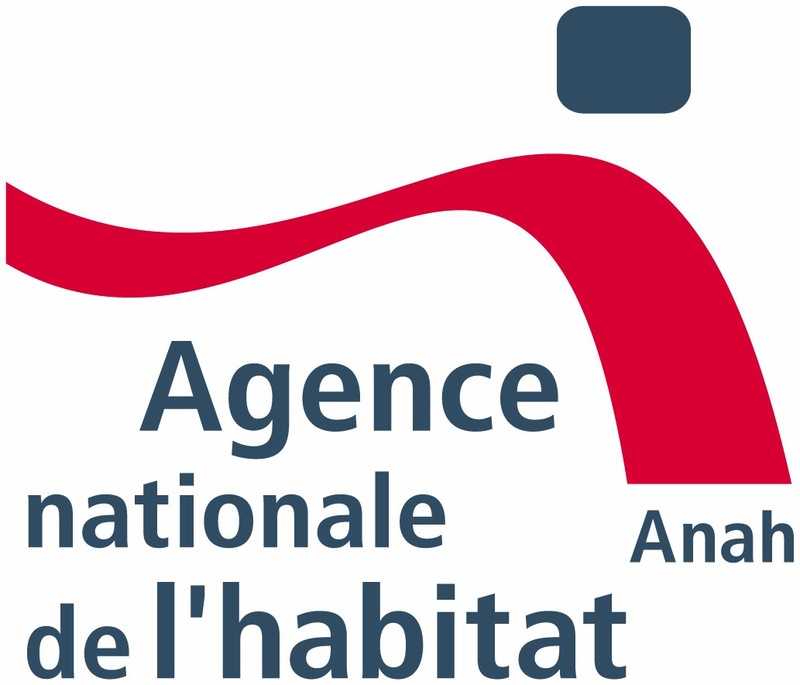 Within this framework, the CRIGEN, research centre of GDF SUEZ, has developed a forward-looking tool (« OPERA Résidentiel) for calculating energy consumption of the French housing stock until 2050. It gives an idea of the impact of policy measures and behaviour of occupants. Numerous parameters are taken into consideration, including the rate and types of building refurbishment, the rebound effect after a refurbishment, the need of new construction, the penetration of very efficient energy systems, the use of household equipments. The CRIGEN realized a prospective exercise leading to four scenarios of global geopolitical situation, French policy, and customs of French society. These scenarios were quantitatively modelled in the GDF SUEZ tool « OPERA » to study their impacts on energy consumption of the French housing stock. The diversity of outcomes shows the preponderant influence of the political and societal organization on energy consumption of the housing stock. KEY WORDS: prospective, residential sector, behaviour, uses, energy consumption. Four energy infra-urban coordination’s scenarii: cooperative, local authorities, Central Administration, big companies. Long term objectives have been established for renewable energy production. It mobilizes geographically dispersed resources, but also intermittent sources such as wind or solar energy. In order to fill the time gap between consumption and production, national as well as European policies explore two paths: one based on a subsidized market for power production capacities aiming to fill the gap; one based on the temporary erasing of consumer’s demand through economic incentives and regulation. In a scheme mixing the role of suppliers and consumers – for instance through the constraint to realize positive energy buildings – we put the question in another way: buildings and thinnest components of energy networks might be places enhancing the management of a better balance between supply and demand at a local level. Such a “management” could not be the business of a sole energy operator. It rather supposes an infra-urban energy coordination, co-managed by the actors of the transforming of built spaces and/or new conventions between these actors. Big companies, local authorities, centralized administration, but also some cooperative movements are experimenting and try to play the main role at the heart of new energy management devices and of the co-construction of urban energy systems. Within the NEXUS project funded by ADEME, a pluridisciplinary research team has elaborated infra-urban energy scenario differing on coordination aspects. One scenario gives to one of the four identified categories of actors a central and dominating role in the process. The methodology is based on the notion of socio-energetic nodes: energy supply chains distributing, transforming and stocking energy within urban spaces are elaborated through the assemblage of technical systems driven by different kind of actors. This communication will present scenario and will expose the interdisciplinary methodology combining political sciences, economics, technological sciences, management and urban planning. KEY WORDS: energy network, city, assembly, distributed generation, regulation. Bottom-up decentralization of energy policy: how local governments try to extend their leverage on public policies. New dynamics are challenging the electricity sector as built through the 20th century, especially since the 1946 law of nationalization (Evrard, 2010). Its technical and administrative structure as well as its institutions rely on economies of scale and a centralized management (Poupeau, 2008), while the cumulative effects of the decentralization of French institutions, the liberalization of the electricity sector and environmental policies favor the development of local energy policies. Indeed, since the liberalization of this sector, more players, like local governments, enter the market. New energy policies call for the development of renewable power productions, which are partly decentralized, and energy efficiency is by essence performed on a local scale. Moreover, as more public policies are performed at a local level, local authorities are now responsible of important choices regarding local energy mixes and the management of energy demand. This communication aims to better understand how theses policies lead to a reorganization of the scales and means of public intervention. It shows that when local authorities coordinate their action at a regional scale, they tend to gain leverage in the political system. To support their call for more decentralization, they frame electricity as a political issue. They use their achievements in this area, like their ability to ensure the economic development of their constituency, to put in place local projects, to build consensus around a shared vision of the future of their territory (Genieys, 1997), to create local capabilities (Ritaine, 1997), to support leaders that can structure these processes and help broaden their reach (Nay and Smith, 2002) to strengthen their influence and political power. This communication is based on a research made in the Nord-Pas de Calais administrative region in 2013-14 and on an extensive literature review. It rests on primary written sources that put into perspective local quantitative data. Around forty semi-directive interviews have been made with project managers and political leaders along with participant studies. Previous studies on the French national debate on the energy transition and on the energy transition law of 2014 have been used to put this work into context. KEY WORDS: governance, local governments, public policies, energy, decentralization. Energy local public utilities, tools of which urban energy governance ? The agenda setting of energy issues implies the local scale valorization, and more particularly of cities, because of the energy consumption concentration in urban territories (Hodson and Marvin 2010; Rutherford and Coutard 2014; Bulkeley, Castan Broto and Marvin (eds.) 2010). In this framework, some researches interrogate the nature of this interaction between cities and energy. Is this interaction strictly related to the energy agenda setting by cities (urbanization) or are we observing a real territorialization at the urban scale, i.e. a new organization of power in favor of cities (Jaglin and Dubresson 2013; Jaglin and Verdeil 2013; Poupeau 2013) ? Following on from this question, we are studying the case of two French cities owning local public utilities. For more than a century; Grenoble and Metz municipalities own (and today are major shareholder) of local public utilities – respectively GEG and UEM – which are supplying electricity in their territory, but also gas in Grenoble and district heating in Metz. This articulation between city and operators organization scale appears as a major lever of urban energy policy. In a first moment, we will analyze the reality of cities’ owning local public utilities leeway. The electricity regulation that applies to these local operators remains mainly national and thus cities have only a few regulation levers of their operator. In a second moment, by analyzing the international functioning of municipalities, we will study the way cities are using their tools and their steering capacity. This will help us to characterize the interactions between cities and local public utilities and the urban energy governance. KEY WORDS: local public utilities, urban public action, urban energy policy, political-administrative system. Heating the city with companies’ waste heat: a non-linear conception of the urban energy provision challenged by local dynamics. Two case studies in Dunkirk and Marne-la-Vallée. The official positions promoting an energy transition encourage the use of recovered energy (heat recovered from a process that does not aim at producing energy) as much as renewable energies, and sometimes in priority. A concrete translation of this consideration is, in particular, the implementation of technical systems that recover waste heat produced by private companies that do not belong to the energy sector (primarily chemical or metal industries and data centers). This energy, that would be dissipated in the atmosphere if not recovered, is then distributed to consumers through a district network. An unusual material and organizational configuration is thus created. The parties involved in such sociotechnical systems, let them be the company de facto energy provider, the local public authorities, the district network operator or the consumers, have different interests that translate into different and sometimes unstable relations with the territory to which they belong. This instability is, in particular, translated into concrete questions asked by stakeholders themselves (for instance, what becomes of the system if the company relocates?) that encourage to look closely at the sociotechnical functioning of such systems. In this communication, we propose to analyze the interplay of the various stakeholders that underlies the implementation of such energy solutions. Indeed, the energy flows come with financial flows, investments and contractual agreements that contribute to create specific relations between the involved parties and that have never been investigated in a research agenda. Nevertheless, they bring a series of questions that are directly related to the social, political and organisational stakes of energy transitions, to which we try to answer: how are the gains and risks of such systems shared between stakeholders? How are the economic, material and organizational dynamics that drive the various involved parties taken into account? Who are the involved stakeholders and why? What role do the local public authorities play in the initiation, functioning and sustainability? How do they make them work – or not – with local spatial and economic planning? We base our reasoning on the thorough analysis of two contrasted French pioneer cases: heat recovery on the blast furnaces of the ArcelorMittal metallurgical plant in Dunkirk and heat recovery on the cooling units of a data center in Marne-la-Vallée, on the Val d’Europe area. The analysis is based on the use of interviews conducted with the various stakeholders, and institutional, legal and technical documentation. KEY WORDS: recovered energy ; waste heat ; socio-technical system ; Dunkirk ; Marne-la-Vallée. Smart grids experimentations between territorialization and international strategies. The case of smart communities in Japan. The recent development of smart grids and decentralized energy production through renewable energies highlight new energy strategies among industrial countries (Coutard & Rutherford, 2009). In order to manage and reduce energy consumption and production, smart grids can have an impact on the actors’ coordination, with the rise of information and communications technologies (ICT) firms, but also local governments. Putting the energy stake on the local agenda not only meets the needs of local actors in terms of revitalization of territories, but also bolsters companies to face international standards’ competition. It is therefore fruitful to question the coordination forms chosen to cope with these multi-scale challenges. As smart grids are still a new challenge in France, it is noteworthy to look at foreign cases. Experimentations in Japan, where smart communities have been tested since 2010, can shed a light on technological choices and organizational practices (Mah et alii, 2013) that could to be imported in Europe. A comparative study of the cities of Yokohama, Kitakyushu Toyota and the scientific city of Kyoto Keihanna can illustrate the diversity of the governance of the projects according to local stakes. Through a seven months field study and forty interviews carried on, this communication will try to contribute to the debates on the sociology of the energy in two ways. First, I will study the neoliberal (Poupeau, 2013) and technical (Souami, 2009) referential of actors involved in the projects, as well as international standards’ strategies, setting the smart meter up as a technical solution to foster (Klopfert & Wallenborn, 2011). Second, through the analysis of case studies, I will explain the governance of the experimentations, stressing on the importance of local economic stakes, but also on the difficulty of some local governments in positioning themselves as actors of the projects. The ambiguous role of electric companies, the key role of the project leader and the marginalization of actors such as non-profit organizations, academics and inhabitants will also be highlighted. This communication will conclude on the limits of the territorialization of energy issues in Japan, and will propose some key observations in comparison with European context. KEY WORDS : smart grid, territorialization, international standards, local experimentations, Japan. The university campuses: territories in energy transition? A local case study put in international perspective. At a time when the academic research takes over the issue of « energy transition », multiplying scientific conferences and publications in many disciplines under this heading, the purpose of this paper is to explore the actions of research and higher education institutions on their own territories. The investigation starts from a sociological research carried out in the project named « Smart Campus ». Launched in 2012 by the University of Versailles Saint-Quentin, the implementation of a smart grid promises to connect locally the renewable energy production to the consumption of buildings and to the energy demand for an electric car sharing service which is available on different sites of the University. If this institution aims at becoming « a living laboratory » for energy transition, it turns out however that the experiment has been adjourned during the summer of 2014. Regarding the sociotechnical changes linked to energy, such a case study raises the question of the favourable nature assigned to the university environment. The search for elements to answer is currently conducted on an international scale. Firstly, it enables to broaden the debate by examining to what extent new policies call for a territorialization of energy transition in campuses. The analysis of instruments and representations that circulate among various levels of public action will then be compared with the first results of a questionnaire survey targetting several hundreds of universities around the world. In addressing the energy issue within their territorial practices, this approach seeks to bring a new perspective on the competencies decentralized to academic communities and on the challenges identified through a reflective process. KEY WORDS: universities, energy policies, territorial practices, local monograph, international survey. Toxic Infrastructures: Motorways, Onshore Wind and the Liability of Oldness. The notion of a liability of newness has become so taken for-granted in transitions theory as to be one of the founding ideas of the discipline. There is good reason for this. New technologies initially lack much of the institutional and cognitive support they need to compete with incumbents. However, too much emphasis on this can lead to a blindness towards the ways in which established technologies might suffer or cause problems for both their owners and wider society from their oldness. This is especially so for technologies requiring complex infrastructures, as it becomes increasingly difficult to commit the resources to expand these infrastructures as public and investor enthusiasm for them wanes. Toxic infrastructures are infrastructures which, though part of a dominant socio-technical configuration, have encountered significant opposition. In the early phases of a transition, when a niche innovation begins to compete with the dominant system, hype and visions of the future can help niche actors coordinate resources to develop their innovation (Alkemade and Suurs, 2012). One such resource is the willingness to build new infrastructure. After an innovative technology has existed for some time, however, this enthusiasm declines, meaning that its problems and unintended consequences can stand out more dramatically than they had previously, and opponents can gain credibility. This loss of enthusiasm can hurt a regime or accumulating niche’s ability to expand. This paper will illustrate the process by which infrastructures become toxic through two case studies: motorways and onshore wind power in the United Kingdom. During their early history, motorways were the subject of fascinated and enthusiastic press coverage, but they had become mundane by the 1970s, and faced active political opposition during the 1980s and 1990s. In the case of onshore wind, while it was initially a source of excitement as part of a low-carbon energy future, support diminished as wind farms were built, and gave way to concerns about aesthetics and the financial returns to local communities. As a result British wind power is increasingly moving offshore (Toke, 2011). momentum might be difficult to maintain perpetually, at least in its political and cultural elements. This is an important consideration for ex ante analysis, transitions studies and management. KEY WORDS : toxic-infrastructure, stranded-assets, visions, niche, regime. Conditions for the implementation of the energy transition in urban development projects: a case study analysis. Paris Rive Gauche, Paris Nord Est and Clichy-Batignolles (Paris, France). In the context of rising energy costs and the fight against climate change, cities have a role to play in the energy transition. Urban development projects provide an excellent opportunity to design energy and carbon efficient cities since they enable to consider the relationship between a set of urban objects consuming and producing energy. Our review of the scientific literature has indeed revealed the existence of urban and architectural levers that can be activated during an urban project to reduce energy needs of cities and promote the use of renewable energies. If sustainable design and labeling processes of buildings are well documented, little research describe practices of urban project’s holders to ensure high energy quality of buildings and districts. We therefore propose to compare three urban large-scale projects led by the City of Paris: Paris Rive Gauche, Clichy-Batignolles and Paris Nord Est. Through a qualitative and comparative approach, we seek to understand actors’ interactions, to highlight the spatio-temporal logics and identify the design parameters used to ensure the energy quality of the projects. Our analysis is based on semi-structured interviews with the actors in these three urban projects, and all the technical documents we could access. After describing how energy issues have been taken into account in each of the three urban projects, we compare the procedures and actions that have been implemented. Based on our comparative analysis, we can argue that energy issues are not considered as strategic elements of the urban development process. When energy targets are defined, they are only political will without any technical consistency. In other words, there is no performance assessment or monitoring process planned. Actions set up are mainly focused on the reduction of buildings’ energy demand, ignoring other potential energy savings in street lighting or mobility. The energy performance of buildings is ensured through a relatively conventional procedure of environmental quality. However, covering energy needs of new districts by local renewable energies constitutes an important factor of change in the urban development practices. Urban developers need now to consider urban areas as potentially producers of energy instead of place of energy consumption only. This study leads us to question the right scale to the definition and implementation of an energy strategy for the urban fabric as well as the best actor to coordinate this action. KEY WORDS: energy transition, cities, urban development project, interviews, actors.